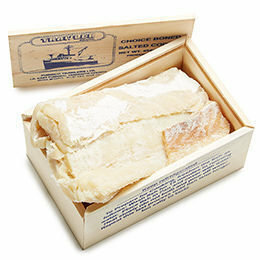 The Boneless Skinless Filet are shipped in 1 LB portions wooden boxes. 1. Take the precut portion of codfish and rinse excessive salt under the tap.